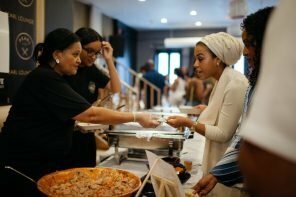 As a self proclaimed Local Food and Restaurant Advocate for the city of Atlanta, I make it my business to find like minded people who share my values. 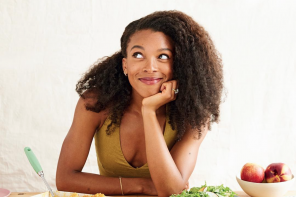 When I came across Black Foodie a few months ago I knew the founder Eden and I had a lot in common. 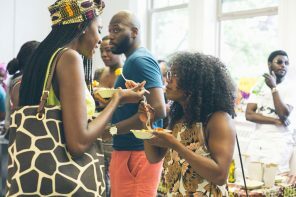 We both share a love for our community and the different types of cuisine that comes with the diversity of being black. 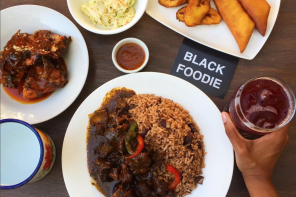 Eden and her team curate some amazing content so I pitched the idea to her about my brand, Eat Here ATL doing an Instagram takeover of @blackfoodie.co. 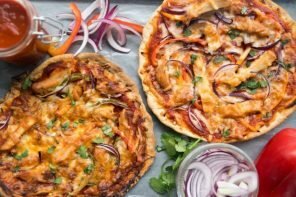 I originally founded EHATL as a Instagram page to encourage residents and tourist to eat local and try new restaurants. Along with the social media platforms the EHATL window decal can be found at several eateries. The window decal acts as a more relatable Zagat guide, telling the city that this particular restaurant deserves their business. Although the decal isn’t just posted at black owned businesses its still very important to me that I support them. Like most cities gentrification has a strong hold on the city of Atlanta but because of our civil rights past we refuse to be shut out. 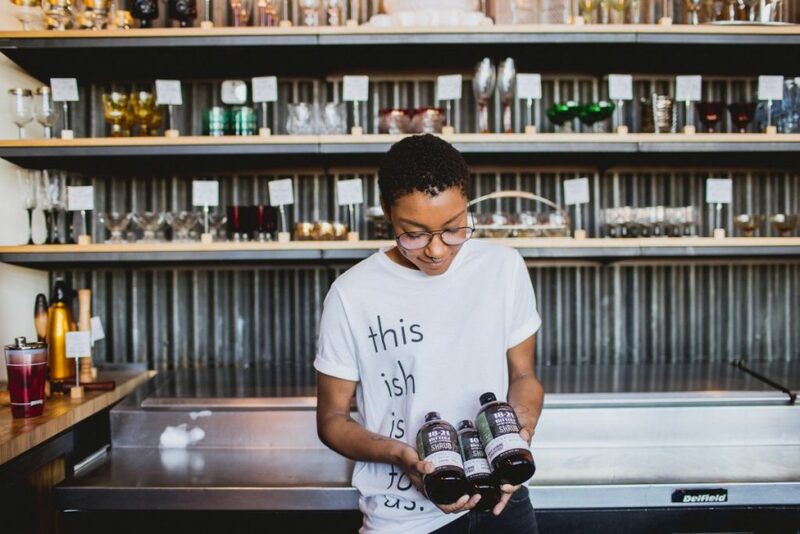 Atlanta remains to be a mecca for young, queer and black business owners like myself. 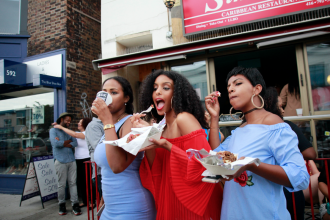 If I began to make a complete list of black owned restaurants, bars and cafes in the city I would be writing for days so I highlighted a few that are my favorite with photography by Kelley Raye. 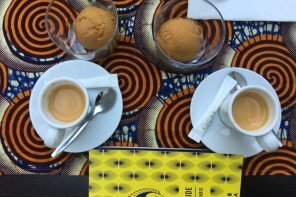 When writing about black owned restaurants it would be silly not to talk about a businesses cocktail menu. 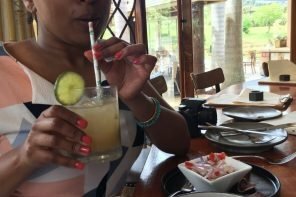 Drinks are as important as properly seasoned food or store location. You can’t have an elevated dinner service without proper libations. 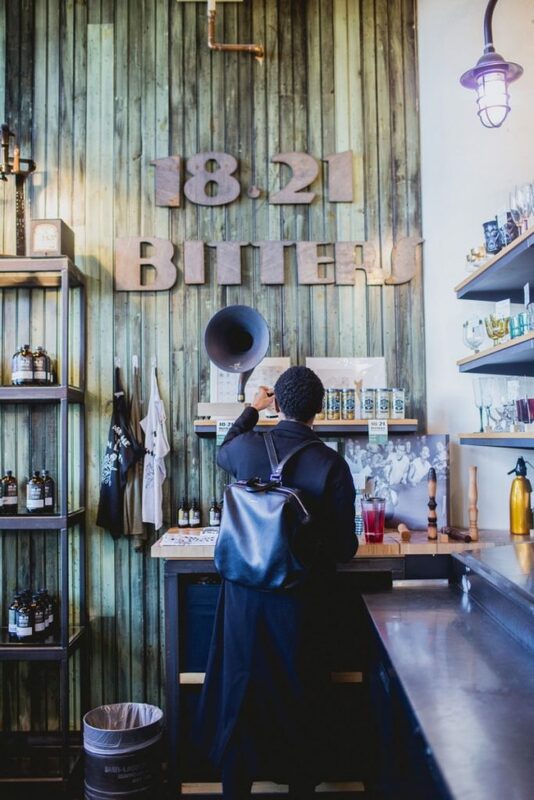 18.21 Bitters is the brand that supplies most Atlanta restaurants with tinctures, shrubs, tonics, syrups and bitters. I initially met the owners Kristin and Missy because we worked in the same building. In all honesty I would see them walking around in their head to toe all black, covered in tattoos and thought, “I need to know them!”. Creepy or not I made it my business to learn more about their brand. The duo have been married for over 6 years and created the concept of 18.21 Bitters in December of 2013, with their items being bottled for sale in May 2014. Since introducing myself to them its unfortunate to say that I am not any better at making my own cocktail but the great thing about the brand is that have their own mixes to make my life a little easier. 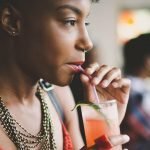 Between their recipes posted to Instagram and their cocktail classes hosted inside their Ponce City Market location you will learn everything you need to know about “Crafting A Better Cocktail”. For more information head over to 1821bitters.com. Lets just be honest and say that atmosphere and decor are super important when designing a restaurant. It 2017 that means you are curating a space that millennials will want to post to Instagram and Snapchat. That’s exactly what Le Petit Marche is the most Instagramable “leakfast” (my favorite way to say breakfast and lunch) spot in the city! The owner Marche is also from California, so that instantly gave her cool points since that’s my home state. Everyday at the restaurant you can find her or her parents greeting their customers by name with warm words. 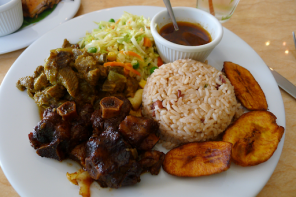 Marche is extremely hard working and has made Le Petit a go to for people who live in the Kirkwood neighborhood but she serves the type of food that even makes OTP (outside the perimeter) folks come out of the wood works. Great food, staff that are more like friends but what really makes this place amazing, her father, better known as “Pops”. He will always greet you with the biggest smile. I had breakfast once and he sat beside me the entire time, genuinely asking me about myself, it was one of those moments thats makes you so happy to have left the house. P.S. 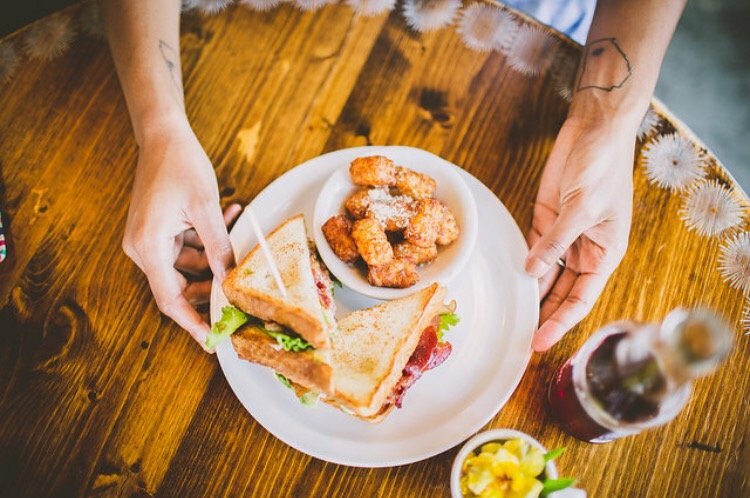 get the spicy BLT. 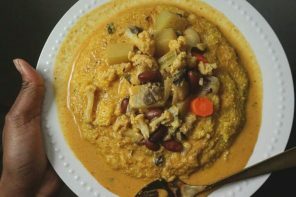 Erika of Southern Soufflé isn’t technically a restaurant owner but her Sunday Supper Clubs are just as well known in the south east. 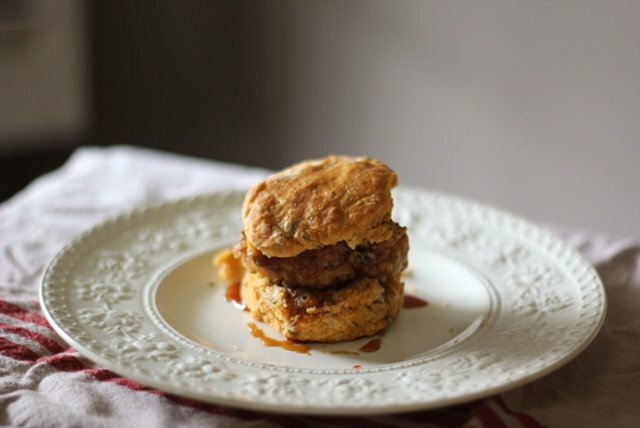 Before I go on and on about Erika’s legendary biscuits it needs to be said that her time in the kitchen was destined from birth. 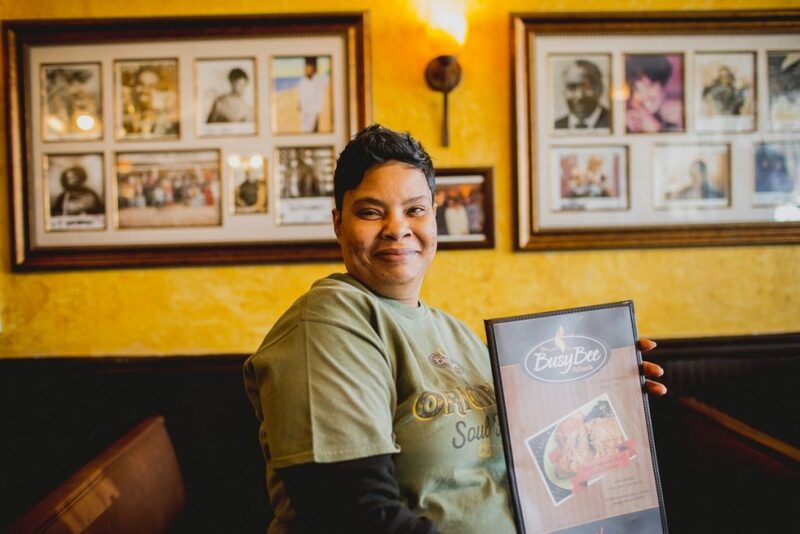 Her grandmother is the iconic Mama Dip owner of one of the most famous restaurants in North Carolina. Like many of my recent connections Erika and I met over Instagram when she invited me to one of her dinners. I had the most amazing time getting to know the diverse guest at the dinner and also got schooled in the art of cane syrup on fried chicken. In between schooling naive California girls on how to properly eat southern cuisine Erika uses her voice and her cooking talents to speak up for those who can’t speak for themselves. 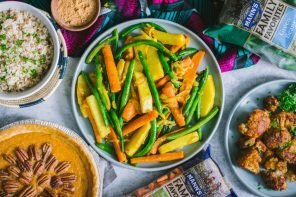 Erika had a article published in the New York Times food section during the holidays that included a family recipe from a time when her ancestors were not allowed to sit a the same table as their white peers. For no other reason to attend a Sunday Supper Club do it for Sandra, for Oscar, for Eric, for Trayvon. What can I say about Busy Bee Cafe that has not already been said? Nothing. 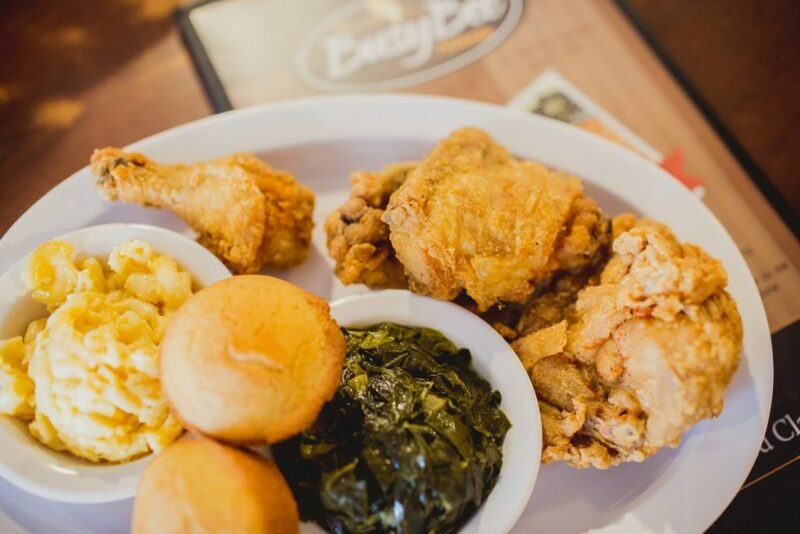 The best fried chicken in the state of Georgia, and Tameka. The day I came by for photos for this article Tameka was my waitress turned model. Like most of the staff at Busy Bee’s she reminded me of a favorite aunt, the kind you can’t wait until Thanksgiving to see. Regardless of how special I think I am that type of service is what has kept them in business since 1947. 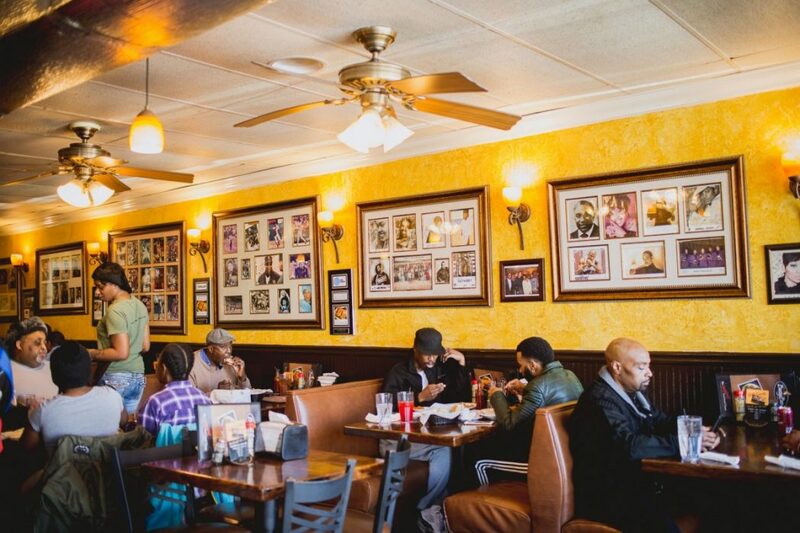 If you own a soul food restaurant on Martin Luther King Jr Dr. in the city of Atlanta you better have food that taste like your grandmother spent the last eighteen hours in the kitchen washing greens and kneading dough for biscuits! They achieved this. 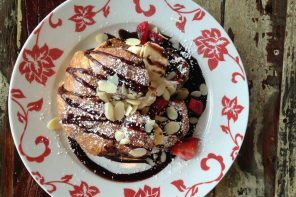 We’ve already agreed that all the kind words have been said about this place so do yourself a favor and go! Tell Tameka Morgan Ashley sent you. 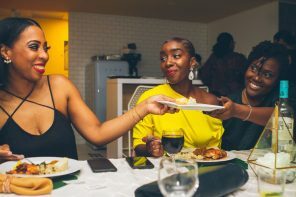 Morgan Bryant founded Eat Here ATL LLC in January 2015 as a social media platform to encourage locals and travelers in Atlanta to try new restaurants. EHATL serves as a friends guide the ever changing food scene. 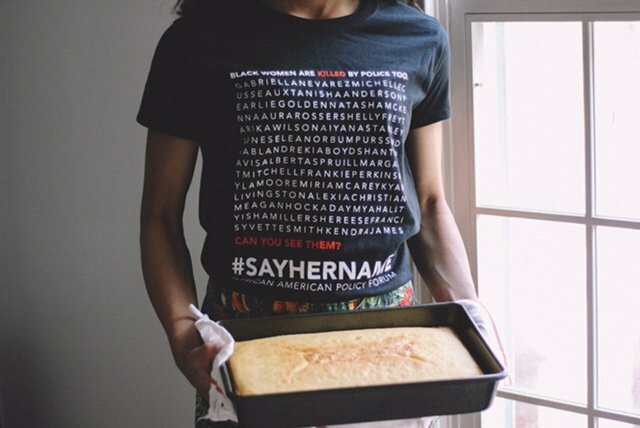 Along with the online community behind the brand, Morgan and her team place the brands logo decal at restaurants in and around Atlanta as a stamp of approval. I LOVE LOVE LOVE it, so great to have more insight into the background of these places! Great read, accompanied with Amazing photos! 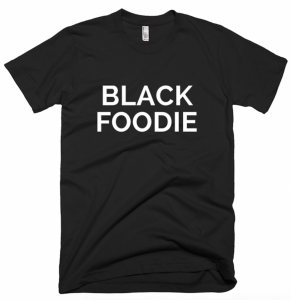 OUR NEW WEBSERIES spotlights the best in Black Chefs, cuisine and more!